Looking back, 2018 was in all respects a typically productive year for the MRWA. The organization was involved in all manner of projects, large and small, in keeping with our promise to look after the watershed. As always, we collaborated with valuable partners of long standing in order to accomplish environmental objectives. Once again, federal and state agencies provided the necessary funding for the heavy lifting while local organizations, most notably the Fremont Area Community Foundation, sponsored environmental education and outreach programs within the watershed. We welcomed a new partner, DTE Energy, who supported us with funding and volunteer labor to help clean up the local environment. Generous support from our membership base and individual donors covered a major share of our operational expenses. As in past years, we tackled a number of on-the-ground restoration projects. This work defines our organization and represents our primary focus. We have provided information on all of these in previous issues so we’ll refer you to our website for details. We will provide a deeper dive into one of our most significant projects that wrapped up this year after a three-year effort. 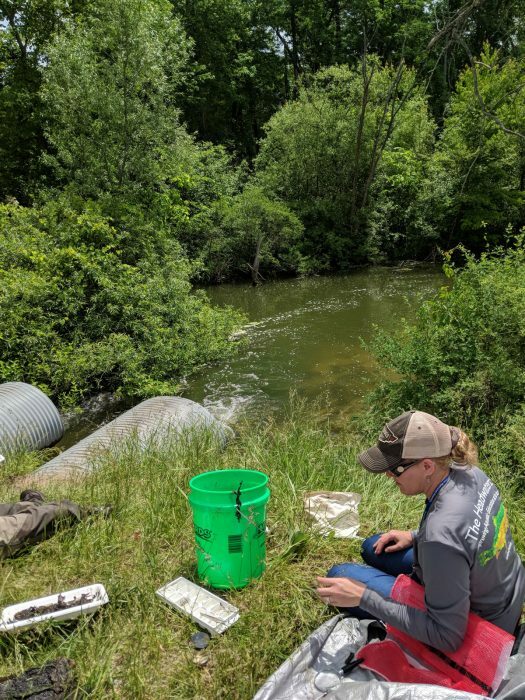 Additionally, we maintained our focus on ongoing environmental research programs such as the MiCorps stream monitoring activities facilitated by our office manager, Pat Jarrett. We completed all of our assignments last year and have one final event on May 18th of this year. Pat asks me to remind you that we will need volunteers to finish the project strong. After that, the program faces an uncertain future since the current grant will expire. We believe in the program and have already begun the search for alternative sources of funding. Under the leadership of Nancy Burmeister, our education committee delivered a full slate of community outreach events that represent our core values. Nancy believes in early learning when it comes to environmental stewardship and does her best work with young minds such as the third graders from area elementary. Again, you can find details online. In an action with long-term environmental impact, the West Michigan Regional Shoreline Commission (WMSRDC) and the Muskegon River Watershed Assembly (MRWA) have established a working relationship defined by mutual objectives and shared values. On September 18, 2018, leaders from both organizations formalized the arrangement by signing a memorandum of understanding, which details specific deliverables for the new partnership. In the near term, the intent is to collaborate on restoration projects throughout the watershed. As a first exploratory step, a committee comprised of natural resource professionals throughout the state met with a simple goal: to surface opportunities for funded projects that would provide a tangible benefit to the Muskegon River watershed. The intent of all stakeholders is to build a productive long-term relationship that leverages the unique strengths of both organizations to the benefit of the resource. The partnership has already proved fruitful, as Marty Holtgren, our director and Kathy Evans from WMSRDC have met to apply jointly for major grant funding for next year. We hope to have an announcement soon regarding our first projects as a partnership. In Newaygo County, we have joined a group of like-minded organizations and individuals to form the Conservation Collaborative with the goal of creating educational and outreach opportunities for county residents and visitors. Newaygo County Parks, Michigan State Extension and Newaygo Conservation District are the cornerstone partners, while The Fremont Area Community Foundation has stepped up with the necessary funding to turn good ideas into reality. As usual, success depends on the efforts of dedicated individuals and several deserve recognition here. Luke Cotton from the Conservation District has been a driving force as has Nick Smith, director at Newaygo County Parks. Randy Butters and Sarah Pregitzer are two names we mention frequently since they are such stalwart environmental advocates, always willing to show up with good ideas and hands on effort. Dale Twing, Newaygo County Drain Commissioner and Erick Elgin, Aquatic Ecologist and Water Resource Educator for Michigan State University Extension are both significant contributors to a very strong team. 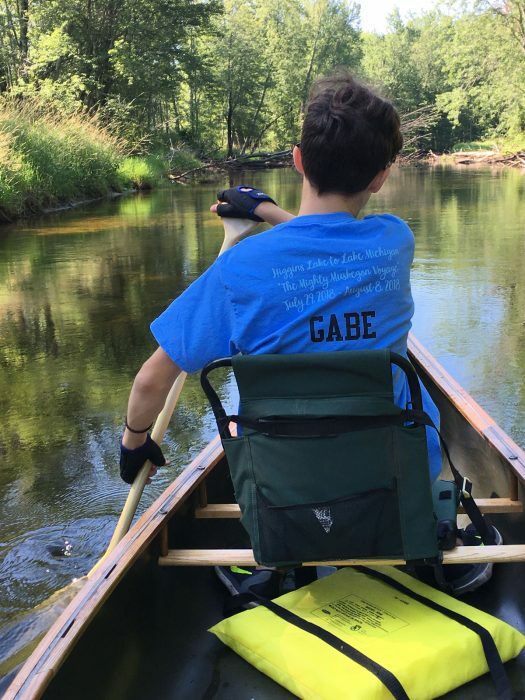 The Lake Ecology snorkel event we hosted with the Newaygo County Prevention of Child Abuse and Neglect this past summer is a great example of what a group can accomplish when individuals like Eric are willing to think out of the box. In its relatively short history, the collaborative has executed two high value events. The first was the snorkel seminar at Diamond Lake County Park, and the second, this weekend at the Newaygo Welcome Center is “Freezin’ Season Celebration”, a free family event where you can have fun out doors and learn new skills. A good year by any measure and already 2019 holds promise for major restoration work throughout the watershed. If you have thoughts or suggestions you wish to share, please feel free to contact us 231 591 2334 or online. We appreciate your engagement and support.